In December 2000, we established a wholly owned subsidiary, Hosanna Bereavement Services Pte Ltd, which provides one-stop bereavement and funeral related services to Christian families. 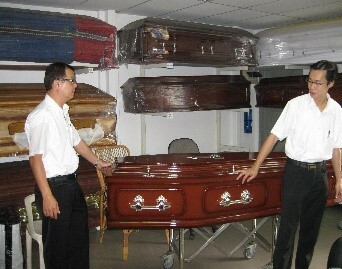 The principal activity of Hosanna Bereavement Services is to provide a one-stop centre for services such as transportation, embalming, casket supply, and other related funeral services e.g. food, drink, tentage, mobile toilet, press announcements, photography, etc as well as other ancillary services like arrangements for the supply of urns and niches after cremation. Death is part and parcel of life and sorrow is unavoidable as long as we have loving relationships with one another - the more we love, the greater our grief when we lose a loved one. We are therefore called to comfort one another (Isaiah 40:1). 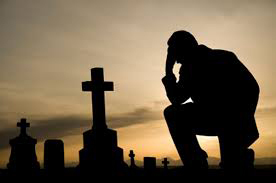 Hosanna Bereavement Services seeks, therefore, not only to provide funeral services but also to help bereaved in their mourning so that they may be led out of their grief into a new phase of their lives. We seek to help the bereaved to draw close to God in their time of loss so that they may experience God's love and remember that "precious in the sight of the Lord is the death of His saints" (Psalm 116:15). Our ministry to the bereaved is grounded in our hope in Christ who has given us the victory over death (1 Corinthians 15:54-55). Exodus 4:27 - "And the LORD said to Aaron, Go into the wilderness to meet Moses. And he went, and met him in the mount of God, and kissed him."